Join our Greek Easter Lunch on the Rooftop terrace! On Sunday, 20th of April we will celebrate the traditional Greek Easter Lunch at our famous rooftop terrace. We will start by roasting an entire lamb early in the morning, because it needs many hours to become crispy, tender and tasty, so it will be ready around 3 pm. In the meanwhile we will have time to enjoy the amazing view, chat, drink some ouzo and of course dance! Before eating the lamb we’ll have different appetizers (mezedes), such as grilled sausages, salads, cheese and olives. Following the Greek tradition we will also experience the Easter colored eggs (and eat them)! Last year it was a blast! What about this year? 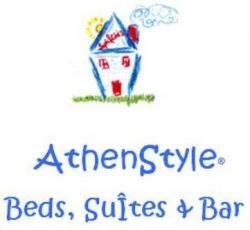 Let’s celebrate altogether the AthenStyle way!